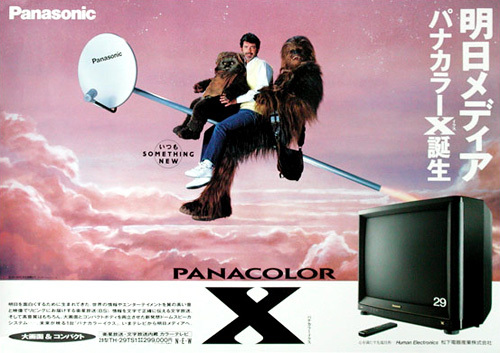 Star Wars Posters From Japan – What Can't A Wookie Sell? | OhGizmo! Star Wars Posters From Japan – What Can’t A Wookie Sell? 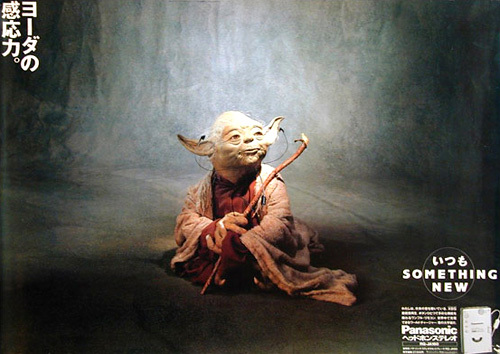 And here’s an ad with Yoda listening to a Panasonic personal stereo while he uses the force to float the earbuds next to his head. (He’s probably listening to Weird Al’s take on Lola.) Maybe if he’d done a better job of investing his money in the early ’80s he wouldn’t have had to shill stereos for Panasonic during his retirement. If you’ve got a few minutes to spare you can head on over to StarWars.com and check out the other 8.